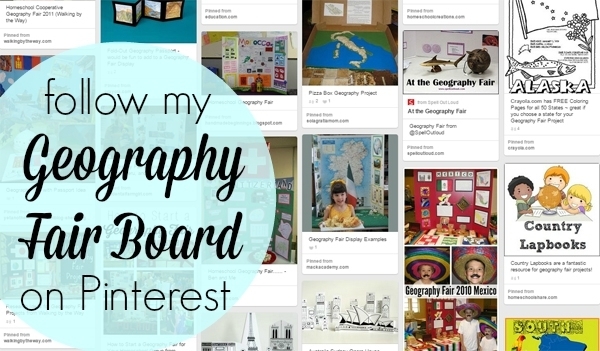 Once you have committed to being participants in your local Geography Fair, you will choose a topic. The next part is research. It can be overwhelming at first, so here are some ideas to get you started. Don't feel like you have to include everything in your presentation. You want your student to enjoy the learning and not to get exhausted with the project. Overview: Show the location of the country using maps (you can photocopy pictures or make your own map; you could even make a salt dough map if you want a 3-D design). List the country's physical characteristics including climate and landforms. Pictures (mountains, rivers, etc.) are appropriate. Show the country's flag (sew one if you are ambitious) and other national symbols. Population: Show the total population and interesting facts like population of ethnic groups and changes over time in the population. Charts and graphs are perfect for this kind of research. Culture: Explain cultural characteristics of the country such as language, food, religion, entertainment, clothing, games, popular sports, holidays, etc. If possible, you could add some real clothes or a cooking project to your display. You could teach the people who visit your display a simple game. Culture is usually the most enjoyable part of learning about another country, so have fun with one! Even your littlest learners can be involved. History: An older student may want to tell when and how was the country formed. List significant events in the country's history by making a timeline. Economy: What kind of work is common? What are the main products produced? What products are exported? What products are imported? How do people live? Where do they live? What are the cities like? What are the rural areas like? 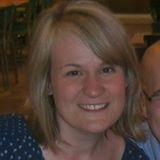 How have geographical features affected the economy? In what ways is this country unique? In what ways is it like other countries? What plants and animals are unique to the country? What famous people (artists, authors, etc.) were born in there? 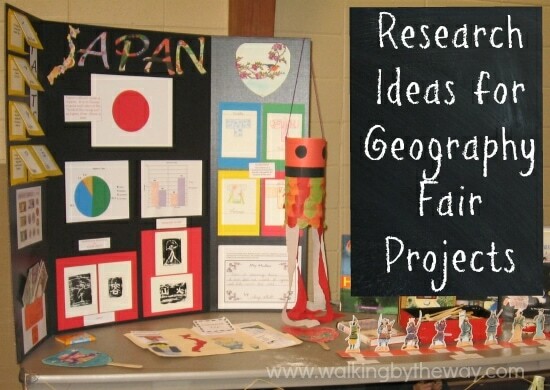 Have you participated in a Geography Fair? What other types of research did you include in your project?